FREE Parking available in front and behind the building. Côté Gourmet features French cuisine with and International accents. 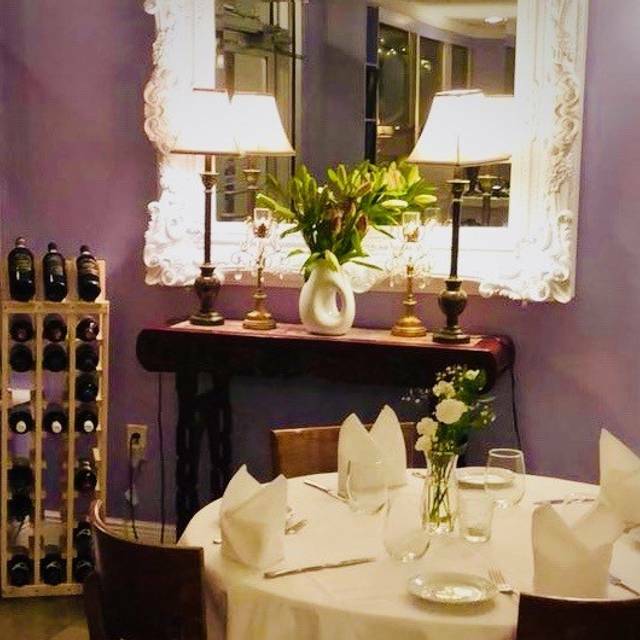 Sometimes referred to as, Miami Shores' "hidden gem", the restaurant is home to traditional favorites as well as innovative fresh culinary creations - in an intimate tasteful setting. 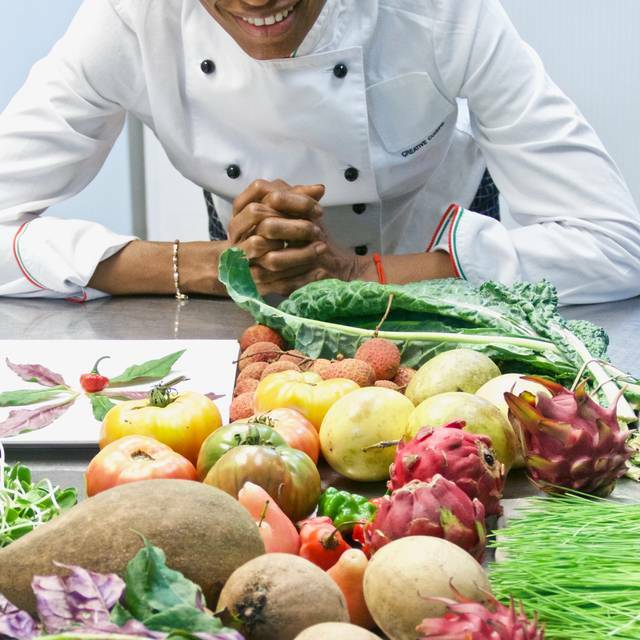 Amina, the congenial Chef, sharpened her talents in some of the best restaurants of the world. Her dishes are an adventure for eyes, nose, and palate at a reasonable price. We arrived for brunch, there was only one other table occupied and we spoke with the entire staff that kept passing us by if we could be served. Our order was taken several times by each staff member and yet nothing arrived, not even our complimentary cocktail. On top of that the manager asked us to move tables because they had accidentally reserved the same table for two separate parties, the other not even present.Thirty to forty minutes later we stood up and left. A local gem The staff and owner are personable and the dining room is very cozy. All the food was great! It’s a lovely little restaurant, they don’t rush you, and the food is delicious! 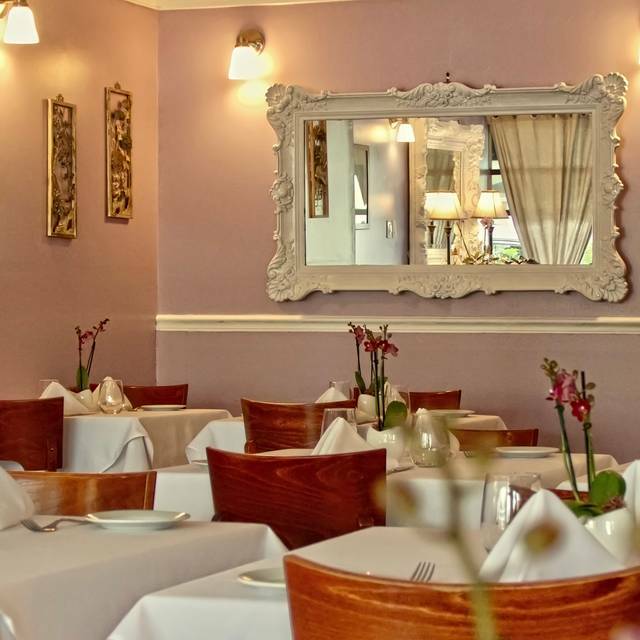 A lovely small intimate traditional French restaurant in quiet Miami Shores. Nice clientele with all speaking softly for a change. The food was very good traditional French cooking - you'll find all those dishes you always liked and well prepared. The specials were excellent. Highly recommend this restaurant for a relaxing dining experience. Freshly remodeled too. Comfortable seats!! Great place!!! Service was awesome. Very welcoming vibe and food was delicious. The food was excellent and the prices were lower than I expected for a French Restaurant. The place is smallish about 15 tables and it was full, so reservations are a must. It takes awhile to be served but that is normal in French Restaurants. The plus to that is that you get to drink a lot of wine, and talk, and eat dessert etc. It is not to go in and out quickly. I had the onion soup and lamb, my date a salad and salmon tartare, everything was excellent. Then we shared a great tiramisu and coffee. We arrived at 7:00 and waited 1 hour for our salad, and then 20 minutes for our entree. We asked repeatedly for water, bread, and wine, and they were not brought to the table until 25 minutes in the restaurant. The service was missing in action. The maitre'd said, "we are very busy". I said, "we waited for 1 hour for our salad. My wife had asked for a medium rare steak, and it was rare. No one came back and responded to the steak needing more oven time. I thought that the service was disgraceful, and the maitre'd inappropriate in his response. We had friends that evening at another table, and they also said they gave up waiting. Loved everything. So cozy and quaint. Great bread, service, fresh fish, absolutely loved it! This was our first time here. So excited to have found a great neighborhood restaurant . The service and food was excellent can’t wait to go back with friends. Excellent place; the new owners have really brought a new light to the place, the many items are excellent. 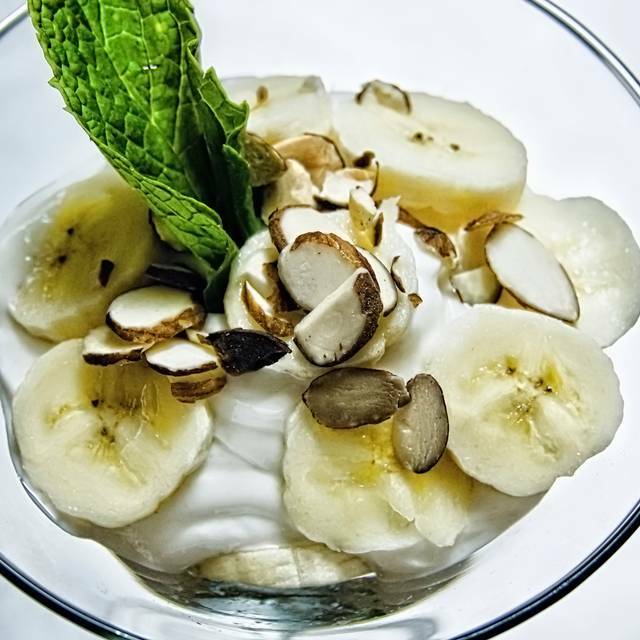 Portions are appropriate and being in the heart of Miami Shores makes it for a great meeting place. We were there for a birthday celebration and even the Cheft Mina came to sing happy birthday by the table; they truly made us feel like family, and my Mom loved the pear tart given to her for her birthday. very tasy with an outstanding presentation (to start, we shared foie gras and then my finacée had duck confit and I had pork chop). For dessert we ordered profiteroles. Although the filling was superb, the choux pastry was little bit dry and hard. The service was excelllent. Mateo (the owner) made us fell like we were at his home. He helped us to select the right wine for the food we had choosen. I higly recommend this restaurant!! Discreet elegance; excellent attention by staff, great food. We were four people and we all had excellent food. The appetizers were delicious: roasted shrimp soup, onion soup, foie gras. The main courses were really good, especially the brochettes of filet mignon and the duck leg with porto sauce. The deserts were outstanding. The place has an intimate atmosphere, which is very special in Miami, where restaurants tend to be very noisy. The chef and the staff are very attentive, making sure that you are satisfied. Prices are competitive with restaurants of similar quality. Dinner for four, with two bottles of wine was about $100 per person. Well worth it, as we came out very happy. 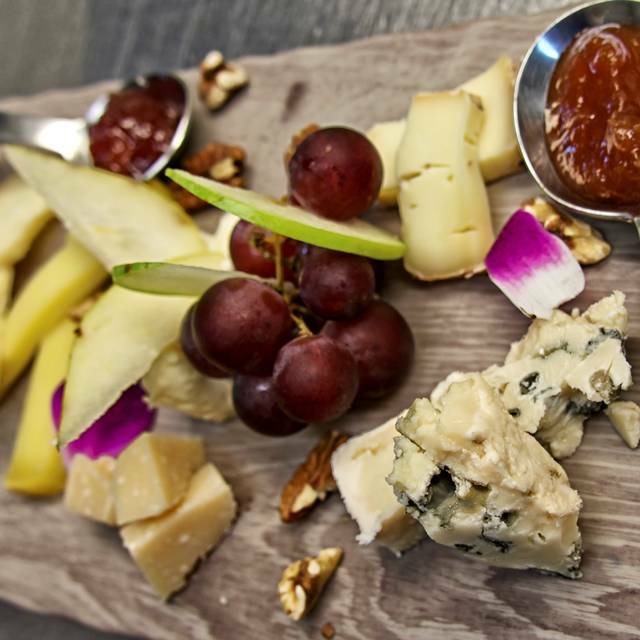 We had a wonderful evening out at Cote Gourmet! The food was exceptional--from soup to main course and dessert. Presentation was creative and beautiful. We did not know what a gem we had in our own backyard as this was our first dining experience at Cote Gourmet. The service was impeccable and the staff were warm, friendly, and solicitous. To top it all the prices were more than reasonable. We will be back! Highly recommend. Fantastic! Great Amina creative chef. We loved this french-Italian restaurant. Very Raccomended! I booked the place online. It was my first time there, but it won't be the last. Everything was VERY GOOD: the food, service, the set-up of the tables (properly done with table clothes). I travel quite a bit all over, and I can strongly recommend Cote Gourmet to everyone, for any occasion. It was a business dinner, and my guests were very impressed. Great atmosphere, food, service, and drinks! I had an overall wonderful experience! Overpriced and mediocre. We ordered lamb chops; 4 small chops for $35.00 and they were tough. This restaurant is a real GEM! The food is outstanding! The attention to detail is magnificent. The food is prepared just right. It is really one of the best if not the BEST restaurant in the area. It is romantic and charming. The service is excellent. Now they have a live Jazz player on Friday and Saturday. I highly recommend this restaurant!! You will not be disappointed!!!! We went for the jazz music, which was excellent. The restaurant is pleasant and the servers were helpful and efficient. The food, however,was disappointing. Greek salad was fine. An Octopus appetizer ordered as a main for $24 consisted of one modest tentacle on a bed of puréed chickpeas. The beef bourguignon for about $26 was a small portion with tasty sauce, but the meat itself was dry; it was served with good polenta. With a decent but modest bottle of wine the bill was $110 plus tip, for a minimal meal for two. This is a little France boutique. I went with my kids and I loved it. Amina, the Chef is very dedicated while Roberto, the manager is very professional and sweet. 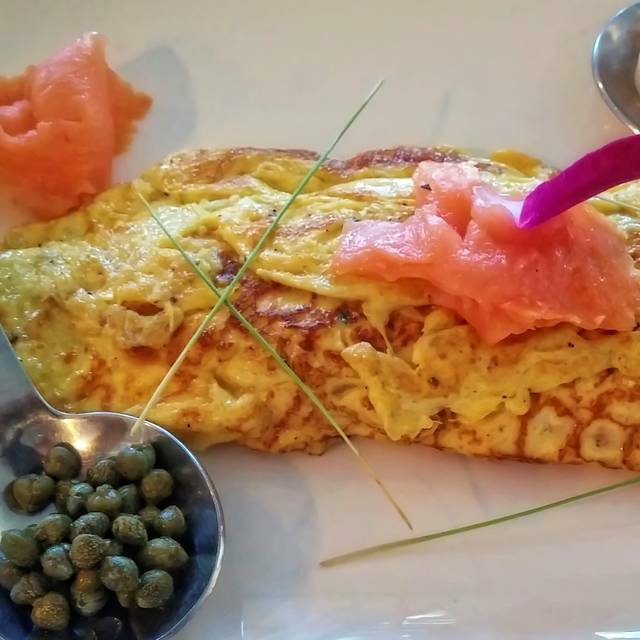 I had the salmon, very flavorful and my kids had the taglioni cacio e pepe and the omelette. Outstanding. 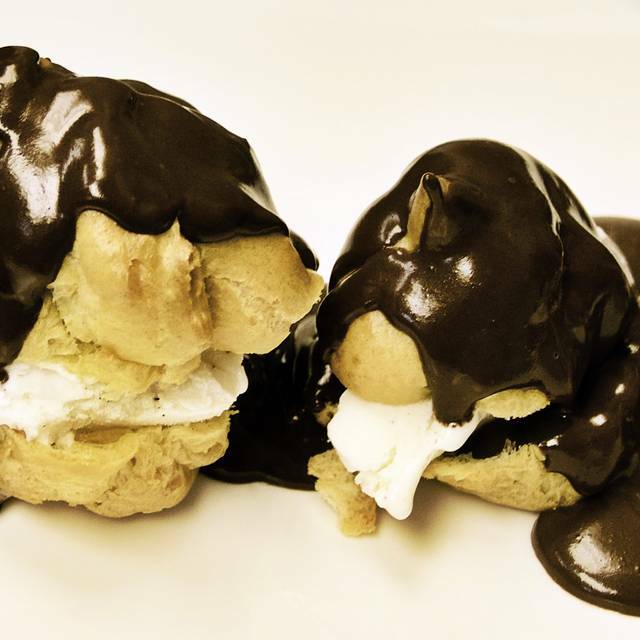 Don’t forget the profiteroles for dessert. We will be back soon. Thank you Chef Amina. Brava!! Nice cute place, great food and wine, the staff was polite and very nice, I was reading the review and I can not understand how some people can be unfair. GREAT PLACE FOR A QUITE DINNER. Thank! We used to go to this place at least once a month under the old owners. Was an amazing place. Since the new owners have taken over, the food is not as good and the service is one of the worst I’ve seen in years. It’s disappointing, but it’s been bad four times in a row now and we won’t go back any more. Our experience wasn’t limited to us. Other tables were complaining and one large table left after waiting for service for an extended period of time. You would never expect to find a restaurant of such superior quality in this quiet, little, neighborhood storefront. Everything was lovely...food, service, ambiance. The staff is polished and well trained for professional service. The owners have gone to some trouble to create a charming, cozy space. But most of all, the food is preparation is impressive! We started with a delicious warm octopus salad. For mains we both had the trout almandine which was superb. I highly recommend it. The wine list is extremely reasonably priced. The chocolate profiterole dessert was yummy. The talent in the kitchen is very highly skilled and creative. Humberto, the manager is a gracious host, overseeing the dining room and making sure you are well taken care of. It’s a tiny place, so be sure to make advance reservations. We had a lovely, relaxed dinner and we will definitely be returning. 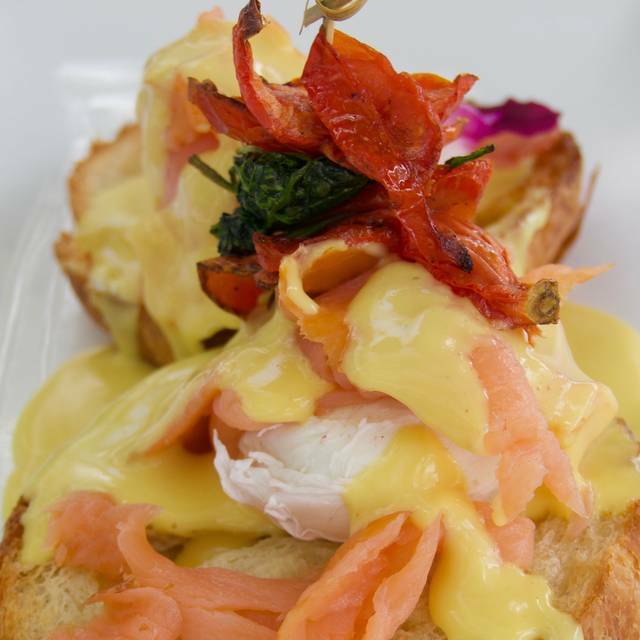 A French restaurant in Miami Shores run by a French family that knows how to really cook and serve fine cuisine as well as everyday fare. 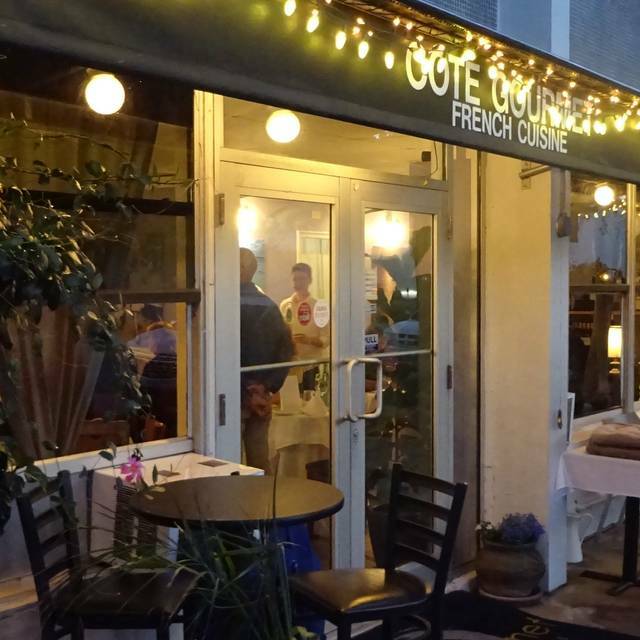 Cote Gourmet is an amazing little French Gem in Miami Shores. You feel like you are in France. Mom is the chef and Pop is the waiter. Such a cute place, they put so much passion into the food. Come and take it nice and slow and enjoy. Absolutely delicious!!! It is difficult to find true French cuisine in Miami and this little hidden restaurant exceeded my expectations by far! The fois ( duck liver) is exquisite and the fish loup de mer ( branzino) was to die for!!! I am definitely going back! Loved it, every course was good! The food was FABULOUS as always! We took some out of town guests and they loved it. Small French restaurant with a live singing. The singer had a very pleasant voice, although we thought that the tape would probably achieve the same results as people were busy eating and talking anyway. Very nice food, however work needs to be done on the wine list. The surrounding area at night is a bit deserted, but seems to be safe. This gem was recommended to me by two friends who live in the neighborhood, & I'm glad they did. The service was friendly & pleasant, the ambiance classy, the food divine. We had a simple lunch of crepes and salads, but oh how heavenly those crepes are! We will be back for dinner and more! We moved to Miami Shores Nov. 2011 and went their to celebrate a birthday. Everyone in our party was thrilled with the the food. We will definitely be coming back.